Join architect and researcher Dr. Andrew Molloy for this walking tour, which takes you on a journey tracing the milestones of Belfast as it developed over the years. From Elizabethan cartographers to the short-lived success of Victorian civics, from the unrealised Edwardian ambitions for the city centre to the thinking behind a motorway going through once thriving inner-city neighbourhoods, the tour examines the impact that high-minded urban theories have had on the citizens of Belfast. It begins in the city centre and finishes with a walk through the lost quarter of Sailortown. The tour should last approximately 90 minutes. The tour involves walking around Belfast so we encourage guests to wear appropriate footwear and to bring waterproof clothing, just in case. About the guide: Andrew is an architect working in a practice specialising in conservation architecture. He obtained his doctorate in architecture from the Ulster University in 2017 and is interested in the intersection between place and identity. He maintains a love/hate relationship with his home city of Belfast. This walk is programmed for Imagine! Belfast by PLACE Built Environment Centre, a not-for-profit organisation based in Belfast. 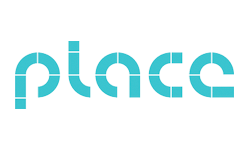 The team at PLACE research, design and deliver creative projects that connect people to place. No age limit but may not be suitable for very small children.